﻿Published by Sareth Ney on Sept. 28, 2016 at 4:35 p.m. Updated on Sept. 29, 2016 at 4:47 a.m.
DAYTONA BEACH, Fla. – Pauly Shore will be performing stand-up comedy at Bonkerz Comedy Club at the La Playa Hotel and Resort, on Oct. 20. His tour begins with four performances at St. Louis Funny Bone in St. Louis, from Sept. 30 through Oct. 1. It will conclude with five performances at the Tempe Improv in Tempe, Ariz., from Jan. 5 through Jan. 7. He is an actor, director, stand-up comedian and writer. Jesus Trejo will be the featured comedian. In 1990—Shore made his debut on screen with MTV’s “Totally Pauly”. After six years on the air, he would star in his own HBO television show titled “Pauly Does Dallas”. Films would soon follow including: “Encino Man”, “Son In Law”, “Jury Duty”, “In The Army Now” and “Bio Dome”. As an actor and producer, his credits consists of: “Pauly Shore is Dead”, “Adopted”, “Vegas is My Oyster” and “Pauly-Tics”. 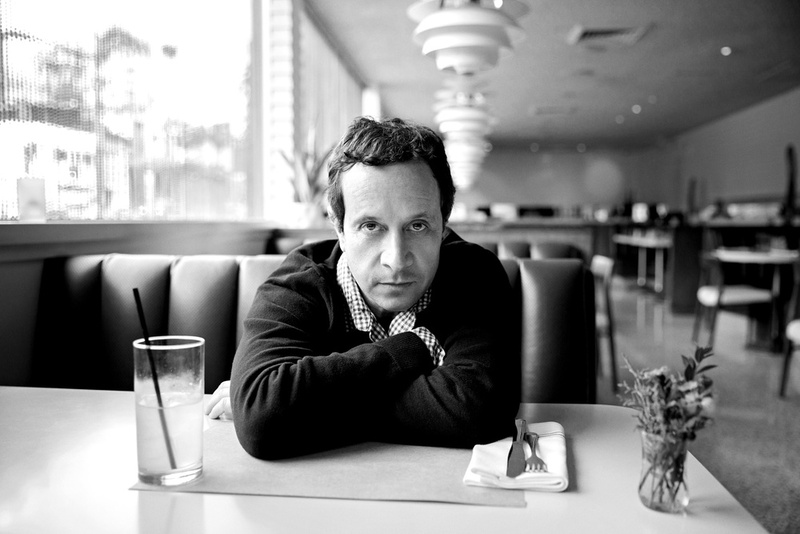 He released a documentary, “Pauly Shore Stands Alone”. Shore’s first two comedy albums received awards and accolades. In 1991—his first comedy album, “The Future of America”, received the award for best comedy album by college music journalists. His second record, “Scraps from the Future”, was nominated for a best sellers award by the National Association of Record Merchandisers. As a podcast host, Shore’s podcast is called “The Pauly Shore Podcast Show”. His guests included: David Arquette, Garry Shandling, Gallagher, Bob Saget, Bret Ratner, Jamie Kennedy, Ted Sarandos, Jaleel White, Alex O’Loughlin, Ziggy Marley, Fred Durst, Montel Williams, David Faustino, Judd Apatow, Harland Williams, Peter Paterno, Doug Herzog, Iliza Shlesinger, Dexter Holland, Chris Kattan, Daymond John, Scott Caan, Tia Carrere, Robin Antin, Irving Azoff and Nick Kroll. For 2017—Shore will star in another documentary, will co-star in an Adam Sandler film on Netflix and his vodcasts from his podcast episodes will appear on Crackle. Doors will open at 7 p.m., the showcase will begin at 8 p.m., will end at 9:30 p.m., it is a 21 and over performance and tickets are $25 each. Two item minimum is enforced. General admission patrons are advised to arrive one hour before the show begins. Tickets can be purchased by clicking here or at the venue, on the day of the show after 5 p.m. Reserve seats will be held until 15 minutes prior to the start of the show. Those with a party of 10 are not guaranteed to be seated together. Oct. 14 - Flappers Comedy Club, Burbank, Calif.
Oct. 15 - Flappers Comedy Club, Burbank, Calif.
Oct. 19 - Bonkerz Comedy Club, Ocala, Fla.
Oct. 20 - Bonkerz Comedy Club, Daytona Beach, Fla.
Oct. 21 - Orlando Improv, Orlando, Fla.
Oct. 22 - Orlando Improv, Orlando, Fla.
Oct. 23 - Rockey’s Dueling Piano Bar, Gainesville, Fla.
Oct. 24 - Goodnights Comedy Club, Raleigh, N.C.
Oct. 25 - Dead Crow Comedy Room, Wilmington, N.C.
Oct. 26 - The Comedy Zone - Temple Theater, Sanford, N.C.
Nov. 11 - Tampa Improv, Tampa, Fla.
Nov. 12 - Tampa Improv, Tampa, Fla.
Nov. 18 - Syracuse Funny Bone, Syracuse, N.Y.
Nov. 19 - Syracuse Funny Bone, Syracuse, N.Y.
Dec. 02 - West Nyack Levity Live Comedy Club, West Nyack, N.Y.
Dec. 03 - West Nyack Levity Live Comedy Club, West Nyack, N.Y.
Dec. 08 - Off The Hook Comedy Club, Naples, Fla.
Dec. 09 - Off The Hook Comedy Club, Naples, Fla.
Dec. 10 - Off The Hook Comedy Club, Naples, Fla.
Dec. 11 - Off The Hook Comedy Club, Naples, Fla.
Dec. 16 - Helium Comedy Club, Buffalo, N.Y.
Dec. 17 - Helium Comedy Club, Buffalo, N.Y.
Jan. 05 - Tempe Improv, Tempe, Ariz.
Jan. 06 - Tempe Improv, Tempe, Ariz.
Jan. 07 - Tempe Improv, Tempe, Ariz.